Here's a round-up of rip-roaring dinosaur craft projects that dinosaur fans love! Recreate your own Jurassic scene with dinosaur home decorations, toys, and fashion accessories. Make a feathered velociraptor and compare your finished masterpiece with the dinosaurs in Jurassic Park. Here's another way to transform a plastic dinosaur toy. These pretty magnets are so easy to make and are a fun alternative to boring old fridge magnets. Make a whole herd of dinosaur candle holders for a party or dinosaur themed decorations. Again, these use plastic dino toys as the base. Here's another great way to upcycle a cheap dinosaur toy. In this project, you will use your plastic toy base to create a useful jewelry holder. This is one for fashionistas with a penchant for prehistoric style. Give a pair of high heel shoes a makeover with the clever addition of a dinosaur. 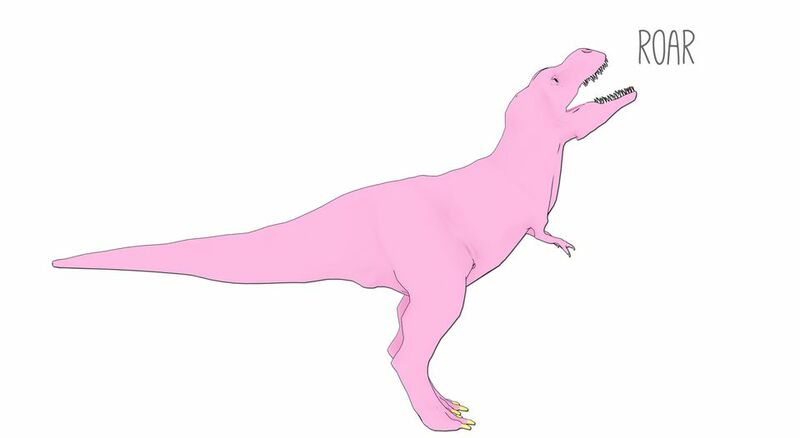 Download the free printable PDF and create your own cute little foldasaurus dinosaur toy. You will find this printable paper toy on the Nice Paper Toy website. This video tutorial shows how to make a cool dinosaur pop-up card. This detailed tutorial shows how to make a cute dinosaur stuffed toy. You'll even find a free PDF template to make things super simple. This little stegosaurus is made from fondant icing, however, you could also use the same instructions to recreate this dinosaur using polymer clay. This video tutorial walks us through how to make this tiny little dinosaur packed full of kawaii character. If Iyou were to be transported back to prehistoric times, this is the dinosaur you wouldn't mind bumping into. Create your own little dinosaur toys with this free crochet pattern.